Laurent Aiello from France teamed up with Alan McNish and Stéphane Ortelli in 1998 and clinched the most recent overall victory for Porsche at the 24 Hours of Le Mans. 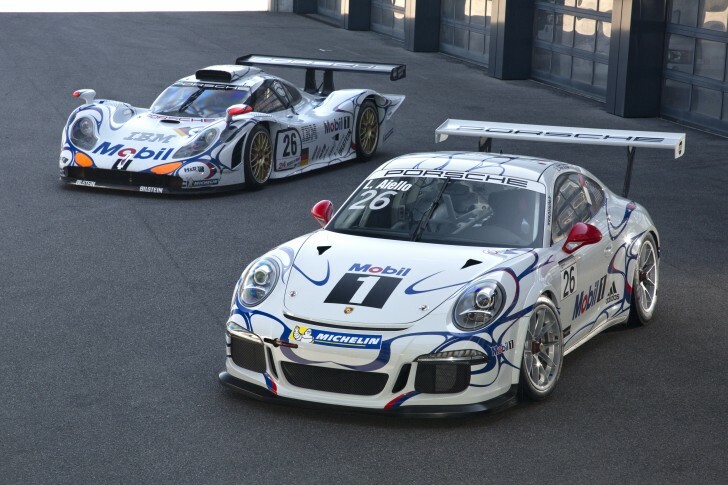 The trio won the world’s most famous long distance race at the wheel of the 911 GT1. Now, the Frenchman celebrates his comeback with Porsche on the Circuit des 24 Heures: Piloting a 911 GT3 Cup campaigned by Porsche AG, he tackles the championship rounds of the French and British Porsche Carrera Cups that will be contested on Saturday 14th June prior to the start of the 24 hour classic. For Laurent Aiello and the 200,000 spectators around the 13.629 km circuit, this will undoubtedly evoke a very special feeling of déjà vu. His 911 GT3 Cup not only features the same livery as the victorious GT1 of 1998, but also flies the same starting number 26. And the race engineer who looks after the technical aspects of his VIP stint stood behind the pit wall when he scored his overall victory: Porsche Meister Roland Kussmaul. Laurent Aiello is one of the most successful touring and sports car pilots in France. In addition to his Le Mans victory, he also won touring car championships in Germany, Great Britain and France. His last major victory was in 2002 when he took home the DTM title. With his VIP guest appearance at Le Mans, he follows in the footsteps of many successful race drivers who have taken up the gauntlet in Porsche’s famously cutthroat one-make cup series. Last year, for example, nine-time WRC champion Sébastien Loeb and five-time Le Mans winner Emanuele Pirro pitted themselves against the brand trophy specialists in the Porsche Mobil 1 Supercup.